Children are curious by nature and if we wish to raise kids who love the Earth, all we have to do is expose them to the awe-inspiring beauty, diversity and immensity of nature. Their natural curiosity can then be trusted to propel them further in delving deep and gather more knowledge. But how can learning be made more fun? How can their knowledge of giant mammoths or tiny frogs, venomous snakes or flying squirrels be tested? A quiz book that exclusively talks about nature and wildlife comes in as a handy tool and WWF-India has taken the first step to create just that. 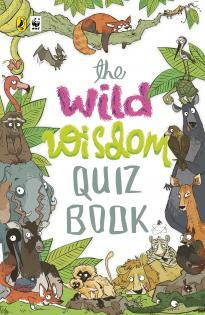 The Wild Wisdom Quiz Book, aimed specially for middle school children [Classes 6, 7 and 8], was launched by WWF-India and Penguin Books, in June 2014 to mark the World Environment Day. It is compiled from India’s only national quiz on wild life- The Wild Wisdom Quiz. This quiz is an initiative of WWF-India and TRAFFIC India that has been an annual affair since 2008. The objective behind this quiz was to inculcate the values of conservation amongst middle school children. I would strongly recommend this book not just for the middle school children, but for all school going children. Even adult animal lovers and quiz aficionados would love this book, packed as it is with amazing information and trivia about the wild. The cover of the book is quite attractive and colorful featuring eye-catching cartoons of animals. In fact, each and every page is dotted with cute sketches and cartoon giving the book quite a lively feel. The questions are divided into 7 categories- Plants, Fish, Arthropods and Annelids, Amphibians and Reptiles, Mammals, Birds and Potpourri and the answers are given at the end of each section. Each section begins with a brief description of the category and the question bank is interspersed with nuggets of fascinating trivia which not only stokes our sense of curiosity but at times, leaves us dumbfounded at the awe inspiring diversity of nature. Bees are found in every continent except one. Which one? 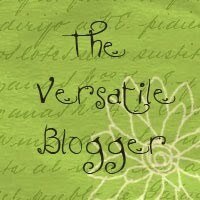 Overall, there are 500 questions like some mentioned above, covering a gamut of wildlife topics mainly from India but including important world wildlife facts too. What I liked most about the book is that it has strictly adhered to being a children’s book as far as the level of the questions is concerned. The difficulty level of the questions is maintained at an optimum level so as to keep it challenging enough to stimulate the brain but not too difficult for children which can become demotivating. The book gives an exceptional peek into the biodiversity and richness of India and is a good way to introduce children to many fascinating nature related trivia of the country. Another interesting element added is the inclusion of questions based on animals in literature or movies. Also included are questions about famous conservationists, various movements and conservation laws. This gives a somewhat holistic picture of the interactions between humans and their environment. Our natural environment has an impact on our life as well as culture and the questions make it easier for children to make the connection. Over all, it is a deeply satisfying book and must have for all school libraries. The book can be used quite easily during quiz competitions for an instant dose of interesting wildlife questions. But I wished certain elements of the book were done in a better way. Since this book is intended for school going children, the obvious consideration is that it should not be too voluminous. This further means that each and every question must go through strict scrutiny. We would still wish to maximize the information contained in this short volume. But I was disappointed to notice the repetition of some questions – which is such a waste! Another area which fell woefully short of expectation was the introduction of each section. I found the level of information provided here to be very basic more suited to primary school students. More attention could have been paid to this so as to invoke the sense of wonderment about each section. Given that children are the target audience, coloured photographs would have suited the pages much better to grab their attention. At times it seems the book is still a question reservoir for verbal quizzes and needs to be made more interest worthy for children to sit and read it. In spite of these flaws which surely will be rectified with newer editions, this still is a wonderful book to get a glimpse of the bizarre as well as mysterious biodiversity of this wonderful nation and planet. I would strongly recommend it to all nature lovers as well as quiz enthusiasts. If you wish to “test your knowledge and learn about the incredible plants and animals that share our country”, this is the book for you.